*Private instrument lessons (basic tuition level) are included for students attending our full program (five days until at least 5 pm). Higher tuition-level instructors may be requested for an additional cost. ​Students enjoy an after-school snack and then get their homework done before they play, giving them an immediate feeling of accomplishment and success so they can enjoy their enrichment classes and free activity time. 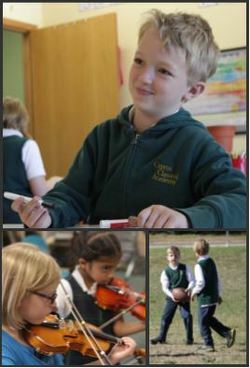 From 3:15—4:15, students are supervised by Cyprus Classical Academy teachers or qualified tutors who will instruct students, help them with their homework, and assist them with organizing their time and their backpacks, allowing students to accomplish much during this session. Each day after 5:00, students enjoy free indoor and outdoor play time, allowing them the opportunity to get lots of exercise. There are also structured physical activities on occasion. Students who are highly interested in music may also join Crescendo or Mini-Crescendo (our musician development programs,) enhancing their after-school education even more!